This historically based novel is a window into Alabama both before, during and after the Civil War. River Hunter is the son of a Cherokee mother and a Scotch-Irish father who has a unique perspective on a society that undergoes a radical shift forced on it by the War. River's father is presumed dead after disappearing on a trapping trip into the mountains of the Carolinas, so, River's mother gathers her children and they move to the cotton belt of Alabama to avoid being shipped west by President Jackson during the Removal time for Native Americans. River rapidly adapts to the new life and has an insatiable appetite for knowledge, reading books at every opportunity. In time he obtains a formal education at recognized academies and universities. Following his heroic service in the Confederate Army during the Civil War and schooling at one of the nation's most prestigious law schools, River becomes an attorney. He is then betrothed to a beautiful young woman who has inherited a substantial plantation upon the death of her husband in the War. Many problems plague the young couple from the forces existing in the South after the War to the prejudicial attitudes of River's inlaws to the polarized politics between the newly freed Slaves and their former owners. This fascinating novel exams all sides within the context of a very unique segment of American history. Good morning, Mr. Roe, and thank you so much for stopping by to talk to us here at Bibliophilia, Please. First things first, what is your favorite scene from the book? I consider the scene where Sarah is having her baby as the most meaningful, as many of the characters are present and participating for what is one of the most important parts of the novel. Some people have complained about the loss of life in this scene, but loss of life in those years in the South was a fairly common occurrence and I wanted to make it a significant part of the novel. How does Alabama Rebel compare to some of your previous works? 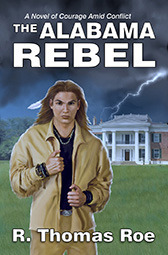 In my opinion, I think The Alabama Rebel is one of my best-written novels. The plot is good, but I considered the story line in The Gaelic Letters to be the best. That is a novel with a number of interesting twists and turns. They are both clearly my two favorite novels. I think The Alabama Rebel could be a very popular novel if it received the exposure it needs. I read mostly historical novels. I read some non-fiction but it is clearly the exception. I try to read writers who have been recognized for the quality of their work, but I also read newer authors as capable, newer authors are out there. I do not read much sci-fi or fantasy novels, although I did read The Hunger Games and considered that enjoyable, particularly the first two books. I have recently read Thomas Wolfe, James Joyce, Joseph Tidwell, Eudora Welty, Joseph Conrad, Herman Melville, Charles Dickens, Jane Austen, etc. What inspired you to start your career as an author? I always enjoyed writing and did write some magazine articles involving legal issues and aviation matters as I was working primarily in Aviation Litigation as an attorney. I always wanted to get into writing fiction and finally began writing The Gaelic Letters about fifteen or more years ago. What’s the biggest surprise you have faced as a writer? By far the biggest surprise for me has been the fact that the characters in the novel take off on their own. They become their own personalities and are not necessarily created by me. That became apparent to me in The Gaelic Letters. I frequently read how many authors structure their novel and then begin writing it according to the structure. I do not do that. I have a general idea as to where I am going with the novel but as the characters develop, they develop the plot and their own participation in it. I have heard some other writers say the same thing. Thank you so much for stopping by today, Mr. Roe! I am a retired USAF military pilot having served with the Air Force for twenty-six years followed by retirement as a full Colonel. I also practiced as a trial lawyer in the field of Aviation Accident Litigation. 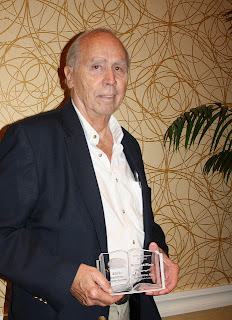 I have been writing for a number of years and have had five novels published. My fifth novel is titled The Alabama Rebel and takes place in the years before during and after the Civil War. Much of the source material for this novel was from my own family history and congressional records, which were subsequently published in thirteen volumes. I graduated from St. Thomas University and William Mitchell College of Law, both in St.Paul, Minnesota. I presently live in Florida along the Atlantic Ocean and also in Colorado in the mountains of the southwest. I spend most of my time reading and writing novels. I limit my social activities to military groups I served with and stay involved with my USAF Pilot Class. Life has been good and I have no regrets.